Хочешь общаться с Борисом Пахолем, всегда быть в курсе последних новостей и публикаций, первым узнавать о готовящихся бесплатных вебинарах, а также следить за анонсами мастер-классов? — регистрируйся! For links: Pakhol, B. Е. Professional well-being an overview of key concepts and scientific research of the phenomenon / B.E. Pakhol // Ukrainian Psychological Journal : collection of scientific works / chief.red. I.V. Danilyuk : Taras Shevchenko National University of Ukraine. — K., 2017. — № 2(4). — P.107-140. У статті представлено теоретико-методологічний аналіз наукових до- сліджень феномену «професійне благополуччя». Розглянуто основні підходи до визначення його змісту і структури. 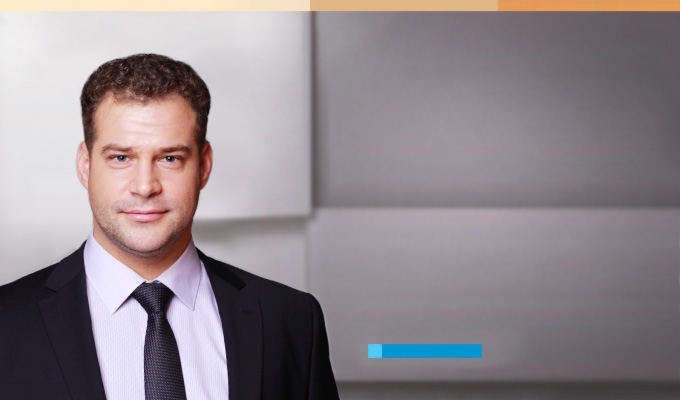 Викладено класичні та сучасні концептуальні моделі, які описують компоненти та чинни- ки професійного благополуччя. Обгрунтовано використання поняття «професійне благополуччя» (professional well-being) для точного по- значення сутності даного феномена. Ключові слова: щастя на роботі, професійне здоров’я, якість про- фесійного життя, суб’єктивне благополуччя в професійній сфері, пси- хологічне благополуччя в професійній сфері, суб’єктивне благополуч- чя в організаціях, професійне благополуччя, задоволеність роботою, задоволення від роботи, благополуччя працівників. This article introduces theoretical and methodological analysis of research of the «professional well-being» phenomenon. The main approaches to de- fining its content and structure are overviewed. There have been represent- ed the current conceptual models, describing the professional well-being components and factors. It is proposed to use the construct of «professional well-being» to reflect the essence of this phenomenon more precisely. Key words: happiness at work, professional health, quality of work- ing life, subjective well-being in the professional sphere, psychological well-being in the professional sphere, subjective well-being in organi- zations, professional well-being, occupational well-being, well-being at work, job satisfaction, work satisfaction, employee well-being. Relevance of the research topic. Despite the fact that the relationship between professional health and emotional state has been defined in the early 20th century in the framework of occupational therapy (C. E. Atwood, 1907, G. E. Barton, 1915; H. J. Hall, 1905; M. F. Driver, 1968), the phenomenon of «professional well-being», as the state of the optimal human functioning in the context of his/her professional activity is relatively new for the psychological science. The development of this concept has been significantly influenced by Elton Mayo’s experiment (1924 — 1932), being the first to identify the powerful influence of socio-psychological climate on work performance . These studies significantly influenced the changing of views on the human health, and a few years later it led to re-defining health in the framework of the positive psychology as «a state of complete physical, mental and social well-being and not merely the absence of disease or infirmity» (Preamble of the WHO Constitution, 1946). As for the «оccupational health», it can be defined in the broadest context as a state of a person’s physical, mental and social well-being in the professional context. But if the objective measures of physical and social well-being are significantly different from the psychological well- being, the subjective evaluation of any of these three aspects is always a psychological phenomenon, the subjective attitude of the individual to various aspects of his/her life (subjective well-being). This significantly differentiates the general «psychological well-being» (objective and subjective assessment) as an important and necessary condition for the general health and professional identity . Moreover, a professional activity occupies a central place in the identity of most people. In different cultures, you can come across with many names, one way or another, related to professions, for example: Archer, Baker, Barber, Brewer, Judge, Currier, Cook, Farmer, Hunter and others. More than half of the adult population spends a considerable part of their conscious life engaged in a professional activity. Thus, the study of the general psychological well-being cannot be complete without considering psychological well-being precisely in the professional sphere. The analysis of recent research and publications. The study of the issue of well-being and professional well-being in its various aspects is associated with such scientists as: E. Mayo, J. C. Taylor, R. S. Uhrbrock, D. Super, E. Locke, M. Jahoda, F. Herzberg, N. Bradburn, E. Diener, C. D. Ryff, C. L. M. Keyes, A. Bandura, J. A. Russell, P. Warr, R. M. Ryan, E. L. Deci, R. A. Karasek, J. Siegrist, M. Seligman, M. Csikszentmihaiyi, P. T. Cotton, T. A. Judge, M. Argyle, J. R. Hackman, G. R. Oldham, V. Vroom, M. L. Schults, D. Anaby, A. B. Bakker, J. E. Van Horn, W. B. Schaufeli, A. Baldschun, M. J. Sirgy, K. Danna, R. W. Griffin, T. A.Wright, N. Polosky, M. W. Fordyce, S. Oishi, A. S. Waterman, P. T. Costa, R. R. McCrae, R. A. Emmons, S. Levine, M. Eid, J. S. Larson, S. Griffin, E. Singer, K. Magnus, A. Tellegen, A. Campbell, W. Wilson, D. Kahneman, N. Schwarz, S. Vallelly, J. Eyles, A. Williams, M. Joshanloo, G. Ghaedi, V. La Placa, A. McNaught, A. Knight, L. Skilton, D. Brickman, S. Lyubomirsky, L. King, G. Lykken, B. Headey, F. M. Andrews, S. B. Withey, F. Strack, G. L. Clore, D. P. Crowne, D. Marlowe, H. T. Reis, U. Schimmack, Chan Mei Fen, W. G. Pavot, C. R. Colvin, E. Sandvik, A. Wearing, R. A. Cummins, A. C. Michalos, A. Zautra, A. Hempel, M. A. Okun, W. A. Stock, K. Ramatulasamma, M. Lynch, A. Maslow, C. Rogers, G. Allport, C. Jung, E. Erikson, J. E. Birren, D. MakKlelland, K. Alderfer, D. Adams, Z. Freid, E. Fromm, K. Khorni, Dzh. Biudzhental, A. Lenhli, A. Adler, Dzh. Boulbi, R. Mei, V. Frankl, I. Bonivell, P. Vonh, R. Inhlekhart, C. L. Rubinshtein, E. A. Klimov, R. M. Shamionov, S. A. Druzhylov, M. Yu. Boiarkyn, Yu. P. Povarenko, A. I. Duka, M. O. Baturin, N. V. Lazareva, S. R. Zenina, E. Y. Rohov, K. Korbut, R. A. Berezovska, T. Yu. Ivanova, K. Rut, D. O. Leontiev, L. V. Kulikov, I. O. Dzhidarian, A. V. Voronina, T. D. Shevelenkova, P. P. Fesenko, O. S. Shyriaieva, Yu. M. Oleksandrov, A. E. Sozontov, T. V. Danilchenko, A. A. Shadrin, Ya. I. Pavlotska, A. V. Kurova, M. O. Baturin, S. A. Vodiakha, I. S. Horbal, B. I. Dodonov, I. F. Arshavy, M. Dmytriieva, O. Dolina, M. Rozanova, T. Tymoshenko, E. Benko, N. S. Nakhabych, S. O. Bashkatov, E. E. Bocharova, S. K. Letiahina, M. V. Sokolova, S. V. Yaremchuk, N. V. Usova, M. V. Hryhorieva, L. V. Karapetian, V. V. Hubska, V. A. Hupalovska, I. I. Semkiv, Yu. A. Zavatskyi, O. V. Kaminska, L. Z. Levit, D. V. Nosenko, Ye. A. Ulhanova, N. D. Uzlov, Yu. B. Aloshyna, M. S. Matskovskyi, V. Ye. Tkachenko, V. N. Arhunova, Ya. N. Krupets, Yu. V. Bessonova, Y. V. Merzliakova, Y. Y. Osynskyi, N. A. Kondrateva, L. Y. Mykhailova, M. V. Zakharov, R. A. Akhmierov, N. K. Bakhariev, V. N. Dukhnevych, Ye. Ye. Vakhromova, I. A. Vintina, H. L. Puchkov, L. V. Sokhan, Yu. N. Dolhov, O. Znanetska, E. Pozdniakova, S. Karskanova, L. V. Zhukovska, A. L. Zhuravlev, A. V. Yurevych, E. N. Panina, A. V. Tolstykh, V. Pankratov, E. V. Antonova, Yu. B. Dubovyk, R. Z. Sharapova, A. Syrtsova, N. V. Kliuieva, L. V. Maryshchuk, E. V. Pyzhianova, E. A. Myshutyna, L. I. Antsyferova, N. V. Tarabryna, Yu. V. Bykhovets, N. N. Kazymova, O. A. Dolhopolova, D. M. Zynovieva, K. A. Abulkhanova, L. Y. Bozhovych, N. V. Pidbutska, A. H. Zuieva, N. V. Hafarova, T. V. Beskova, H. S. Khafizova, T. V. Vasylova, L. B. Kozmina, S. V. Lisovets, Yu. P. Povarenkov, Ye. I. Rohov, I. H. Antypova, S. V. Zholudieva, M. V. Naumenko, I. A. Pankratova, O. Ye. Rohova, N. Ye. Skrynnyk, A. M. Shevelova, I. A. Rudaleva, I. A. Kabasheva, N. V. Karhina, Yu. I. Kashliuk, K. O. Sanko, V. L. Pankovets and etc. In numerous scientific studies, there is a significant variety of constructs used to describe this phenomenon: happiness at work (P. Warr, 2007; E. Diener, Biswas-Diener, 2008; A. B. Bakker, D. Derks, 2010); professional health (V. L. Pankovets, 2004; R. A. Berezovska, 2012; S. A. Druzhylov, 2016); quality of working life (J. R. Hackman, G. R. Oldham, 1974; J. C. Taylor, C. L. Cooper, E. Mumford, 1979; E. E. Lawler, 1982; P. H. Mirvis & E. E. Lawler, 1984; V. V. Baba & M. Jamal, 1991; K. A. Loscocco & A. N. Roschelle, 1991; M. J. Sirgy, D. Efraty, P. Siegel & D. Lee, 2001; N. Ellis & A. Pompli, 2002; S. Bearfield, 2003; L. Worrall & C. L. Cooper, 2006; D. Van Laar, J. Edwards, S. Easton, 2007; J. Edwards, D. L. Van Laar & S. Easton, 2009; T. S. Nanjundeswaraswamy, D. R. Swamy, 2013; S. Easton & D. Van Laar, 2013); subjective / psychological well-being in the professional sphere (V. A. Pohorska, 2011; S. R. Zenyna, 2012; A. Y. Duka, 2013; E. Y. Rohov, Y. H. Antypova, S. V. Zholudeva, M. V. Naumenko, Y. A. Pankratova, E. E. Rohova, N. E. Skrynnyk, A. M. Sheveleva, 2014; S. A. Druzhylov, 2016); subjective well-being in organizations (A. B. Bakker, D. Derks, 2010); professional well-being, occupational well-being, well-being at work (J. E. Van Horn; T. W. Taris; W. B. Schaufeli; B. Wilmar; P. J. G. Schreurs; J. G. Paul, 2003; E. Y. Sereda, K. S. Riabova, 2003; M. Yu. Boiarkin, 2007; R. M. Shaminonov, 2008; M. L. Schultz, 2008; K. Yıldırım, 2014; A. Baldschun, 2014; Shangping Zhao, Ling Liu, Hong Chen, 2015; A. Mäkikangas, J. Rantanen, A. B. Bakker, M. L. Kinnunen, L. Pulkinen & K. Kokko, 2015; R. A. Berezovska, 2016; S. A. Druzhylov, 2016; K. Rut, 2016); job sutisfaction (R. S. Uhrbrock, 1935; D. Super, 1939; E. Locke, 1976; A. L. Kalleberg, 1977; V. Scarpello, J. P. Campbell, 1983; B. M. Staw, N. E. Bell & J. A. Clausen, 1986; F. N. Iliasov, 1988; T. A. Judge & C. L. Hulin, 1993; T. A. Judge & S. Watanabe, 1993; R. H. Moorman, 1993; M. B. Rauktis & R. D. Koeske, 1994; L. Winfield & W. E. Barlow, 1995; T. A. Judge, 1994; J. P. E. Spector, 1997; T. A. Wright, 2000; L. Moynihan, 2000; T. A. Judge, C. J. Thorensen, J. E. Bono & G. K. Patton, 2001; C. L. Hulin, T. A. Judge, 2003; G. P. Latham, M. H. Budworth, 2007; Collins 2008; Rossrucker, 2008; T. A. Judge, K. Ryan, 2008; M. L. Schultz, 2008; R. M. Shaminonov, 2008; A. B. Bakker, D. Derks, 2010; U. N. Chernousova, 2010; A. Beiker, 2010; A. V. Vecherin, 2011; S. R. Zenyna 2011; T. Yu. Ivanova, 2012; A. I. Duka, 2013; S. Meyerding, 2015; K. Korbut, 2015; N. Poloski Vokic & T. Hernaus, 2015; S. A. Druzhylov, 2016); work satisfaction (N. Bradburn, 1969; O. Anisimova, 2004; I. A. Rudaleva, I. A. Kabasheva, 2014); employee well-being (Jan De Jonge & W. B. Schaufeli, 1998; W. B. Schaufeli, A. B. Bakker, 2003; P. Cotton, P. M. Hart, 2003; A. Beiker, 2010; S. Meyerding, 2015). But the concepts of «оccupational health», «professional well-being» or «occupational well- being», «job satisfaction», «quality of working life» and «subjective well-being at work» are the most prevalent. In addition, in the scientific literature one can observe constructs describing different states of positive human functioning in the organizational and professional environment: flow, intrinsic motivation, organizational commitment, organizational citizenship behavior, extra-role behavior, job involvement, passionate commitment, etc. These concepts have much in common as they all reflect the positive state of functioning of the individual, associated with the profession. This reflects, on the one hand, the growing interest in this issue, and on the other hand — the variety of principles and methods of research, as well as the instability of the conceptual apparatus which is used in this area . As for the definitions of «professional well-being», today there are various views on this phenomenon, for example, it is considered as a criterion of professional identity and as a characteristic that may indicate a degree of acceptability from the point of view of motives and attitudes of the individual (R. M. Shamionov, 2008); as a process and a state integrally reflecting the life activity of the individual, its conditions and results, as well as the attitude of the individual to the results of activity (M. Yu. Boiarkin ta in., 2007); as an integral formation including awareness of the value and meaning of professional activity, the experience of positive emotions and feelings associated with the profession, and the relative absence of negative emotions (E. V. Borodkina, 2012); the result of an employee focus on the positive functioning in the conditions of professional activity, achieved through the self-development of personal qualities, and the result of which is the feelings of satisfaction with the results (S. A. Miniurova, 2012; I. V. Zausenko, 2013) . Deci, 2000); Occupational well-being model of J. E. Van Horn (J. E. Van Horn; T. W. Taris; W. B. Schaufeli; B. Wilmar; P. J. G. Schreurs; J. G. Paul, 2003); Occupational well-being model (M. L. Schultz, 2008) and etc..
At the initial stages of research of the psychological job-related and non-job-related well-being, the factors were distributed according to different classification criteria, for example: physical (J. Ware, R. M. Ryan, C.M. Frederick, M. Argyle, S. D. Derebo, H. M. Zarakovskyi, L. V. Kulykov, P. P. Fesenko); spiritual (D. Brothers, C. Dalbert, M. J. Lerner, Dzh. Bennet, D. O. Leontiev); personal (M. O. Baturin, S. O. Bashkatov, N. V. Hafarova); cultural (E. Diener, M. Diener); sociodemographic (N. Bradburn, J. R. Hackman, G. R. Oldham, P. Warr, D. Raphael, E. Singer, A. Adler, C. O. Druzhylov, T. V. Danylchenko); material (J. Flanagan, Т. Campbell, D. Groenland and others); economic (E. Diener, I. Praag, B. Strumpel, A. V. Baranova, V. O. Khashchenko, O. A. Uhlanova); existential ones (N. V. Hrishyna, M. Zanadvorov, V. Frankl), etc. — Professional ones: professional knowledge, skills, ability to make decisions that will contribute to the development of professionalism, the achievement of professional goals and objectives, positive communication with colleagues (Yu. P. Povarenkov, 2002; M. Yu. Boiarkyn, 2007); an employment status, an educational level; positive and negative employment experiences (P. Cotton, P. M. Hart, 2003; K. Yıldırım, 2014) ; appropriate social areas, cognitive skills, competence, job-related calmness, self-care, self-efficacy, vigor (V. M. Oharenko, 2001; A. Baldschun, 2014) ; professional self-determination, self-image as a professional, hierarchy of professional values, semantic certainty in the work (R. M. Shamionov, 2006, 2008), professional identity (Yu. P. Povarenkov, 1997, 2002), professional representation, beliefs, professional development activity (E. Y. Sereda ta K. S. Riabova, 2013; E. Y. Rohov, Y. H. Antipova, S. V. Zholudeva, M. V. Naumenko, Y. A. Pankratova, E. E, Rohova, N. E. Skrynnik, A. M. Sheveleva, 2014; K. Yıldırım, 2014) ; actual and potential opportunities, opened by the work (T. Yu. Ivanova, 2012); experience of the possibility to realize one’s potential, an attitude to the work performed, to colleagues, to management, the subject and subject of one’s labor, to the organizational culture and organization values (M. Yu. 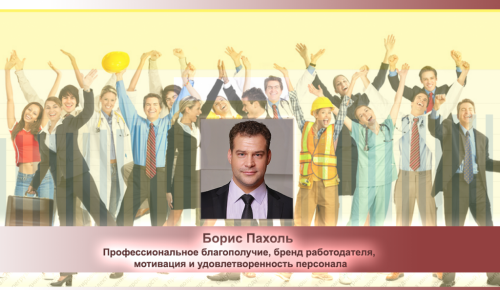 Boiarkin, 2007; S. R. Zenina, 2012); Qualification and education of the employee, special moral and material motivation of labor (V. M. Oharenko, 2001). Highlighting the part of the problem, having been unsolved before. In connection with the emergence of new models of «professional well-being», the issue of systematization and generalization of classical and modern approaches to its definition is topical. There is still no consensus on the relationship and definition of professional well-being related constructs, either, such as: occupational health, quality of working life, job satisfaction, professional well-being, well- being at work, etc. For example, supporters of the «occupational health» focused on occupational safety, physical health and psychological well-being of employees, but the well-being is being studied concerning the reduction of the negative mental states of employees, such as stress, anxiety, depression, burnout, overload, tension, stammability, etc. They believe that reducing the stress and other negative states of employees will have a positive impact on their overall sense of psychological well-being at work (L. E. Tetrick and J. M. LaRocco, 1987; K. K. Smith, D. S. Kaminstein and R. J. Makadok’s, 1995; K. Danna and R. W. Griffin, 1999; C. P. Parker, B. B. Baltes, S. A. Young, J. W. Huff, R. A. Altmann, H. A. Lacost & J. E. Roberts, 2003; V. L. Pankovets, 2004; C. Fritz and S. Sonnentag, 2006). The followers of the «job satisfaction» theory mostly focus on the subjective measure of the employee’s emotional state (job satisfaction) and the cognitive correlation (job satisfaction) between working conditions and personal professional expectations (C. W. Clegg and T. D. Wall 1981; E. Diener, E. M. Suh, R. E. Lucas, & H. L. Smith, 1999; T. A. Wright and R. Cropanzano, 1996, 2000), they believe that satisfied employees demonstrate a higher level of performance (A. P. Brief, 1998 P. E. Spector, 1997). They define the professional well-being as the satisfaction or non satisfaction of a person of his/her own job characteristics, such as: salary, opportunities for promotion, job tasks, team, etc. (P. C. Smith, L. M. Kendall & C. L. Hulin, 1969; E. A. Locke, 1976; T. A. Judge & R. Klinger, 2008). Within the framework of this approach, several theories were developed: The two-factor theory (F. Herzberg, 1959; 1967); the Job Characteristics Model (J. R. Hackman, G. R. Oldham, 1974; 1980); The Affect Theory (E. A. Locke, 1976) and the dispositional approach (T. A. Judge, E. A. Locke & C. D. Cathy, 1997); Self-discrepancy theory (E. T. Higgins, 1987); The Equity Theory (R. C. Huseman, J. D. Hatfield & E. W. Mile, 1987). In addition, we note the approach, initially proposed by E. Diener (1984; 1991), namely «subjective well being in the workplace». This study by E. Diener and other researchers (J. A. Russell & J. H. Steiger, 1982; M. A. Zevon & A. Tellegen, 1982; D. Watson & A. Tellegen, 1985) were the basis for the emergence of the «affective well-being» as an important component of the professional well-being (P. Warr, 1987). There are also multi-dimensional approaches such as «quality of working life» and «occupational well-being». But if the «quality of working life» combines the ideas of the previous approaches of «affective» and «cognitive» well-being and focuses on identifying key «job characteristics» (J. R. Hackman, G. R. Oldham, 1974, 1980; J. C. Taylor, 1979; P. H. Mirvis and E. E. Lawler, 1984; V. V. Baba and M. Jamal, 1991; M. J. Sirgy, D. Efraty, P. Siegel & D. Lee, 2001; N. Ellis & A. Pompli 2002; W. B. Schaufeli & A. B. Bakker, 2003), concerning the development of «occupational well-being», researchers are attempting to apply the modernized versions of the C. Ryff’s psychological well-being model in the context of the professional activity (P. Warr, 1987, 1994; J. E. Van Horn; T. W. Taris; W. B. Schaufeli; P. J. G. Schreurs, 2004; K. Rut, 2016). In recent years, there have been tendencies to combine different approaches, for example, A. Baldschun’s professional well-being model (A. Baldschun, 2014), combining several different models: affective, social, cognitive, professional, personal and psychosomatic well-being, and K. R. Harcom’s well-being model (Kelly R. Harkcom, 2014), combining «psychological» (S. Ryff) and «subjective» (E. Dinner) well-being models. Unfortunately, the conceptualization of professional well-being differs from research to research depending on its specific definition (K. Danna and R. W. Griffin, 1999). There is also a problem of ambiguous understanding of the factors and criteria for assessing the professional well- being, making the emergence of reliable and valid psychodiagnostic tools impossible (C. L. M. Keyes and S. J. Lopez, 2002). Many researchers consider well-being the global construct free from the job context (K. Danna and R. W. Griffin, 1999) . However, others emphasize the importance of assessing well- being in specific working conditions. For example, J. E. Van Horn, T. W. Taris, W. B. Schaufeli, P. J. G. Schreurs (2004) noted that the operationalization of the professional well-being in a particular context makes it possible to understand how the structure and contents of the socio-psychological factors related with job, affect it, and vice versa, how through the improvement of working conditions we can influence the professional well-being. Despite the fact that since the 60s of the twentieth century, studying the issue of professional well-being of the individual has been of major interest in the writings of psychologists, there is still no unified conception of the definition of professional well-being, its structure and factors [2; 12]. There remains a problem of the correlation of different approaches to professional well-being, for example, subjective and objective criteria can act as independent indicators of professional well- being (W. B. Schaufeli, A. B. Bakker, 2003; J. R. Hackman, G. R. Oldham, 1974, 1980; E. L. Deci, R. M. Ryan, M. Gagné, D. R. Leone, J. Usunov & B. P. Kornazheva, 2001; Е. V. Borodkyna, 2012), and how its components (occupational well-being, A. Baldschun, 2014), even the concept of the professional well-being in some models can be used as a general concept (general occupation well-being), and as a structural element (professional well-being) at the same time (J. E. Van Horn, 2004). It should be noted that the problem of researching the professional well-being of an individual in a mixed professional environment requiring special attention. Each organization unites representatives of many professional groups (J. A. Adkins, 1999) , implying the consideration of various factors and criteria, characteristic of representatives of all professional groups,comprising the organization. The possibility of such a research requires a more precise definition of the phenomenon of professional well-being and development of the methodological framework. The purpose of the article. The purpose of the article is to conduct theoretical and methodological analysis research of the phenomenon of professional well-being, its contemporary and classic models and factors, to summarize and organize the main approaches to determining the content and structure of the professional well-being and to offer a universal construct of the essence of this phenomenon. The presentation of the main material. The interest of psychologists to the issues of «job satisfaction» and «quality of working life» is historically linked to the Hawthorne experiment, conducted by a group of researchers led by Elton Mayo, in the production of Western Electric (US), between 1924 and 1932. As a result, it was proved that the socio-psychological climate has a greater affect on performance than the technical aspects of the production process . Since that time, interest in the employee’s perception of their work conditions, well-being at workplace and other socio-psychological factors, affecting the performance of work, has begun to grow up gradually in all social sciences. Generally speaking, the hypothesis of E. Mayo (1933), that «happy» employees demonstrate a higher level of performance (A. P. Brief, 1998 P. E. Spector, 1997), was operationalized in most experiments through the correlation between the self-esteem of «job satisfaction» and performance supervision. Thus, for many empirical researchers (F. Herzberg et al., 1957; E. A. Locke, 1970, 1976; D. P. Schwab & L. L. Cummings, 1970; V. Vroom, 1964; M. M. Petty, G. W. McGee & J. W. Cavender, 1984; M. T. Iaffaldano & P. M. Muchinsky, 1985), job satisfaction and happiness (balance of positive and negative affect) became closely related (T. A. Wright & E. M. Doherty, 1998), but not identical. So the first research of professional well-being began precisely with the subjective measurement — «job satisfaction». Attempts to evaluate the job satisfaction of employees through anonymous surveys became commonplace as early as in the 1930s. As defined by G. P. Latham and M. H. Budworth (2007), in 1934 R. S. Uhrbrock was one of the first psychologists to use the new methods of measuring of the satisfaction of the factory workers and to propose a new scientific construct of «job satisfaction». They also note that in 1935 R. Hoppock (1935) conducted a study focused explicitly on job satisfaction related to the nature of the work, relations with colleagues and management. Back in 1939, as it was noted in the works by Donald Super (D. Super, 1939), job satisfaction was the most important result of successful career planning and next to the «job satisfaction» construct there appeared the construct of «satisfaction with life». He believed that both constructs depend on the degree to which the personality finds the opportunity to realize their abilities, interests, goals and values. In addition, researchers very often consider job satisfaction along with the emotional state measurement (positive and negative affect) as indicators of subjective well-being of an employee. «Positive affect» reflects such emotions and moods as: happiness, pleasure, excitement and energy; «negative affect» — sadness, anxiety, fear and anger. According to R. E. Lucas and E. Diener (2002), organizational researchers should accurately indicate the affect components they want to focus on because different components can be the consequences of various aspects of the organization activities . The most famous model of job satisfaction is the theory of affects by Edwin A. Locke (1976). The basic premise of this theory is that satisfaction is defined by a discrepancy between what one wants in a job and what one has in a job. . Defining the concept of «job satisfaction», E. A. Lock (1976) was the first to formulate it as «a pleasurable or positive emotional state resulting from the appraisal of one’s job or job experiences». But later he changed his first definition – «job satisfaction is the result of the self-esteem of your work, it allows you to achieve certain values associated with work, provided that these values make it possible to meet the needs of the individual» . The close relationship between job satisfaction and personal needs and values was also determined by V. A. Yadov i A. A. Kissel (1974) . According to them, «job satisfaction» is the result of an employee’s adaptation to working conditions and assessment of the degree of satisfaction of personal needs the employee seeks to satisfy in the professional activity. Some authors (P. E. Spector, 1997) define «job satisfaction» as an emotional attitude of a person to work, «whether he or she likes the job or not». Despite the findings of E. Mayo and a large number of experiments, claiming the presence of a powerful impact of job satisfaction on performance, this issue is still not closed for qualitative (A. H. Brayfield & W. H. Crockett, 1955; F. Herzberg, B. Mausner, R. D. Peterson & D. F. Capwell, 1957; E. A, Locke, 1970; D. P. Schwab & L. L. Cummings, 1970) or quantitative (M. laffaldano & P. Muchinsky, 1985; M. M. Petty, G. M. McGee & J. W. Cavender, 1984) analysis and deserves a careful study. In particular, A. H. Brayfield and W. H. Crockett (1955) concluded that there is no strong relationship between job satisfaction and performance, they denoted it as «minimal or no». Since the review by A. H. Brayfield та W. H. Crockett (1955), several studies have been published (F. Herzberg et al., 1957; E. A. Locke, 1970, 1976; D. P. Schwab & L. L. Cummings, 1970; V. Vroom, 1964; M. M. Petty, G. W. McGee & J. W. Cavender, 1984; M. T. Iaffaldano & P. M. Muchinsky, 1985; Т. А. Wright, 2000), which were very different in their orientation and somewhat optimistic about the relationship between the «job satisfaction» and performance. From around the 1970s and the 1980s, the issue of «job satisfaction», as a subjective measure associated solely with the professional activity, is generalized to the issue of «life satisfaction» as a manifestation of «subjective well-being» (E. Diener, 1984; Ed Diener, J. S. Larsen, S. Levine, R. A. Emmons, 1985), as a more general construct, defining an individual level of happiness, and is a measure of how people evaluate their life (E. Diener, 1984; E. Diener, E. M. Suh, R. E. Lucas & H. L. Smith, 1999). In this regard, new approaches and models of general psychological and professional well- being began to emerge. Most of this process was influenced by the works by N. Bradburn (1969), E. Diener (1984) and C. Ryff (1986). They began to explore not only «job satisfaction», but also a sense of happiness and well-being beyond the working context. Later, the reverse process began, the heritage of researchers of the general psychological (C. Ryff) and subjective (E. Diener) well- being became the pillar for the development of complex professional well-being models. So, for example, along with «job satisfaction», a new approach appeared – «quality of working life», initially considered as a component of the overall «quality of life» (M. B. Frisch, J. Cornell, M. Villanueva, P. J. Retzlaff, 1992, R. W. Lent, 2004), and further became an independent direction, combining various approaches to professional well-being, such as: professional health, job satisfaction, psychological well-being and the theory of basic psychological needs, etc. (J. R. Hackman, G. R. Oldham, 1974; J. C. Taylor, 1979; P. H. Mirvis & E. E. Lawler, 1984; V.V. Baba & M. Jamal, 1991; M. J. Sirgy, D.Efraty, P. Siegel & D. Lee, 2001; N. Ellis & A. Pompli, 2002). In the 1990s, a number of scientists worked on comparing the concepts of «life satisfaction» and «job satisfaction», studies showed that these constructs are interrelated (N. Schmitt & A. G. Bedeiah, 1982; T. A. Judge & S. Watanabe, 1993) . In fact, in accordance with T. A. Judge and S. Watanabe (1993), «job satisfaction» and «life satisfaction» did not differ significantly at the same time. Some researchers argue that the influence of «life satisfaction» on «job satisfaction» is dispositional (B. M. Staw, Y. Cohen-Charash, 2005; T. A. Judge & C. L. Hulin, 1993; G. H. Bower, 1981) : if people are satisfied with their life, they are more likely to be satisfied with their work, because their positive attitudes to life affect their memories and the interpretation of working conditions (TA Judge & S. Watanabe, 1993). — the second direction is related to the quality of life of employees and performance (A. M. Isen, 1987; P. Warr, 1999; O. G. Brim, 1992; M. Csikszentmihalyi, 1997; A. S. Waterman, 1993). A study of the professional well-being of recent years has revealed a significant development of some more approaches: occupational health; job satisfaction as subjective well-being (affective well-being) in a professional environment; Subjective well-being at the workplace and affective well-being; Approach: quality of working life and occupational well-being; and some new integrational models. The «occupational health» focuses on supporting and strengthening the working capacity of employees, improving working conditions and promoting a positive social and a psychological climate at the enterprise. As for the psychological well-being, first of all, the professional stress, anxiety and depression and other negative manifestations (bornout, tension, fatigue etc.) are studied. Proponents of the occupational health believe that reducing the stress of employees will have a positive impact on their overall sense of psychological well-being at work (K. Danna and R. W. Griffin, 1999). The main criticism of the «occupational health» approach is how health and well-being are defined within it. For example, C. Fritz and S. Sonnentag (2006) conducted a study of well-being with the help of General Health Questionnaire (D. Goldberg, 1978), estimating the number of health complaints of a person, and Oldenburg Burnout Inventory was also applied (E. Demerouti et al., 2001) to determine the professional burnout. Individuals who did not experience burnout syndrome or health complaints were considered as experiencing well-being. Similarly, L. E. Tetrick and J. M. LaRocco (1987) used the measurements of anxiety and depression. Well-being was operationalized as the absence of these conditions. The meta-analysis of antecedents and the effects of the organizational climate, C. P. Parker, B. B. Baltes, S. A. Young, J. W. Huff, R. A. Altmann, H. A. Lacost, J. E. Roberts (2003) also identified psychological well-being as a lack of burnout, anxiety and stress . C. Ryff (1995) points that framework of «occupational health» does not provide suffi a cient definition of well-being: a person is considered to be mentally healthy if he or she does not suffer from anxiety, depression or other forms of psychological symptoms . The same opinion was expressed by other researchers, such as G. M. Spreitzer, K. Sutcliffe, J. E. Dutton, S. Sonenshein and A. M. Grant (2006) arguing that the absence of negative experience does not mean that people have a strong sense of well-being. In addition, reducing stress and burnout does not necessarily lead to professional well-being. A. Kinicki, F. McKee and K. Wade (1996) found that overloading, bad working conditions and job insecurity are the main causes of organizational stress and tension. According to G. M. Spreitzer, K. Sutcliffe, J. E. Dutton, S. Sonenshein and A. M. Grant (2006), the improvement of these conditions is not enough to create the environment that promotes well-being . But despite the criticism of the supporters of the positive psychology, a study of the characteristics of negative work experience, such as: fatigue, tension and stress, caused a large number of scientific research. For example, K. Danna and R. W. Griffin (1999) argue that the main part of the literature, engaged in the study of professional well-being, focuses on the professional stress. D. C. Ganster & J. Schaubroeck (1991) reviewed the literature related to occupational stress and found more than 300 articles, published before the 1980s . Among the most influential works on «occupational health», it is necessary to emphasize the following ones: L. E. Tetrick and J. M. LaRocco, 1987; K. K. Smith, D. S. Kaminstein and R. J. Makadok’s, 1995; K. Danna and R. W. Griffin, 1999; C. P. Parker, B. B. Baltes, S. A. Young, J. W. Huff, R. A. Altmann, H. A. Lacost & J. E. Roberts, 2003; C. Fritz and S. Sonnentag, 2006. Separately, we note that the study «occupational health» has significantly influenced the development of other areas, such as the «quality of working life» . — interactive (personal-situational) theories, suggesting that job satisfaction depends on the interaction of situational and personal factors. An example of the situational (contextual) approach is the two-factor theory by Frederick Herzberg (1959), also known as motivational hygiene theory, which attempts to explain the pleasure and motivation in the workplace . This theory asserts that satisfaction and dissatisfaction are due to various factors — motivational and hygienic, respectively. The motivation of the employee to work is constant and is related to the «job satisfaction». Motivation can be regarded as an internal force causing people to achieve personal and organizational goals. Factors of the motivation are inherent in the very work , its content, for example: labor achievements of an employee, recognition of the employee for the efficiently completed tasks on the basis of the principle of the justice, providing employees with autonomy in the implementation of production tasks, ensuring career growth, professional development, enriching labor with elements of creativity (A. Aristovnik, 2013). Hygienic factors or dissatisfaction factors prevent the emergence of frustration at work and include aspects of the working environment such as: a management style, organizational management policies, wages/salaries, working conditions, interpersonal relationships, an employee social status, guarantees of preservation of the workplace, the impact of the work process on the personal Life of a member of the organization . Although the model by F. Herzberg initiated a lot of research, scientists have failed to reliably prove it. J. R. Hackman and G. R. Oldham suggest that the original formulation of the Herzberg model can be a methodological artifact . In addition, the theory does not take into account individual differences and, on the contrary, predicts that all employees will react in a similar way if motivational or hygienic factors will change. . Finally, the model has been criticized as it does not specify how these factors should be measured . Another example of the situational approach is the Job Characteristics Model (JCM) (J. R. Hackman, G. R. Oldham, 1974, 1976, 1980), stating that working conditions motivating an employee lead to a higher level of job satisfaction. Within this model, five main characteristics of work are distinguished: Skill Variety; Task Identity; Task Significance; Autonomy; Feedback. According to this theory, the work, providing these key job characteristics give more pleasure and motivation than the work, failing to provide these characteristics. More specifically, it is suggested that the key job characteristics cause three critical psychological states — meaningfulness, responsibility and knowledge of the results, which in turn lead to consequences, for example, job satisfaction . It is worth noting that the Job Characteristics Model was originally designed as a purely situational model, but it could not explain why under different working conditions different employees have different motivation and level of job satisfaction. Therefore the model by J. R. Hackman; G. R. Oldham was supplemented with the concept of growth (the need for a personal development) as an intermediary between the internal job characteristics and job satisfaction . Indeed, the work environment affects the quality of work, but the motivation and performance increase depending on the correspondence between the job characteristics and the values of the person. Contextual factors and the interaction between the context and the individual should be considered in studies of job satisfaction . A study of the influence on job satisfaction has found that: a negative affect has a stronger influence on the «job satisfaction» than a positive affect does (C. J. Thoresen, S. A. Kaplan, A. P. Barsky, C. R. Warren, K. deChennont, 2003). The model that narrowed the scope of the dispositional approach was Core Self-evaluations Model, proposed by Timothy A. Judge, Edwin A. Locke, and Cathy C. Durham in 1997 . This model determines its own disposition of the employee in relation to job satisfaction: self-esteem; Generalized self-efficacy; Locus of control; Neuroticism or emotional stability. According to this model, a higher self-esteem and overall self-efficacy will lead to increased job satisfaction. The internal locus of control, as well as a lower level of neuroticism, leads to increased job satisfaction . L. Moynihan (2000) investigated the relationship between the «job satisfaction» and other aspects of organizational engagement (emotional, cognitive and behavioral ones) and various factors: an intention to leave work, an activity to find work, performance and effectiveness of leadership. L. Moynihan suggests that the organization’s ability to achieve its objectives partly depends on intrapersonal factors (talent and executive staff efforts) (H. Mintzberg, 1973). Working relationships are a set of feelings, beliefs and thoughts about how to behave, what people think about their work and organization (J. M. George & G. R. Jones, 1999). As relationships include behavioral and affective and cognitive components (M. Fishbein & I. Ajzen, 1972), they are important determinants of the employee participation and the role of behavior in the work environment. The relationship between job satisfaction with performance and leadership was proven . The hypothesis about the influence of an interpersonal factors on job satisfaction is also supported by the results, obtained by A. Bandura (2001). When people consider themselves ineffective, they probably do not make efforts that provide opportunities for growth. Conversely, when people think that the working environment is organized in accordance with their understanding of the necessary job characteristics, this increases the probability of their success and satisfaction. . The main assumption underlying the personality-situational approach is that the relationship between variables (for example, needs or values), as well as individual and organizational results, depends on various job characteristics or the organization as a whole (A. L. Kristof, 1996)  . A special case of the personal-situational approach is the Cornell Model (C. L. Hulin, M. Roznowski and D. Hachiya, 1985; C. L. Hulin, 1991). The model defines job satisfaction as a balance between input (training, experience, time, effort) and output (pay, status, working conditions, internal factors) roles. If the organization pays more attention to output roles, the employee feels satisfied. In addition, during periods of unemployment, people perceive their contribution as less valuable because of high competition, and vice versa, if there is a lot of work opportunities, its significance decreases . One of the varieties of the Self-discrepancy theory was the Value-Percept Theory (Е. А. Locke, 1976), according to which, personal values determine what will satisfy at work . Based on this concept, C. L. Hulin and T. A. Judge (2003) noted that modern and closest to the notion of the «well-being» definition of the concept of «job satisfaction» includes multidimensional psychological questions about the work of the individual, and that these personal reactions have cognitive (value), affective (emotional) and behavioral components. This is the approach that has become most common in studies of job satisfaction . «Job satisfaction» is included into many professional well-being models as a separate component. K. Danna and R. W. Griffin (1999) consider «job satisfaction» with the central theme of the professional well-being. They argue that the overall psychological well-being consists of well-being in the context of work (professional well-being) and beyond (psychological well-being). Researchers in the areas of occupational health adhere to the opinion that using job satisfaction assessment is not enough to determine occupational health. Other researchers consider the «job satisfaction» to be not sufficient even to determine the emotional aspect of professional well-being. For example, until now there is no clear delineation of constructs: job satisfaction and job engagement (W. B. Schaufeli, A. B. Bakker, 2004). T. Yu. Ivanova (2012) suggests considering «job engagement» as a subset and emotional consequence of «job satisfaction», and the latter one is considered by analogy with «life satisfaction» (E. Diener, K. Ryan, 2009) . T. A. Wright, R. Cropanzano, P. J. Denney and G. L. Moline (2002) believe that «job satisfaction» is primarily a cognitive evaluation. R. M. Shaminonov (2003) defines «job satisfaction» as an emotional-appraisal attitude of an individual or a group to work and the conditions of its flow and treats it as a «subjective well-being in the professional sphere» . The approach by E. Diener’s Subjective well-being to the workplace is very important for understanding the professional well-being. Despite the fact that E. Diener combined the emotional and cognitive components his approach of the individual subjective attitude to various aspects of his/her work began to be developed by many researchers as affective well being in the professional sphere. E. Diener (1991) defines Subjective well-being in the workplace as follows: an employee has a high level of subjective well-being in the workplace, if an employee feels satisfied and experiences frequent positive emotions and rare negative emotions (engagement, happiness or satisfaction). Employees, experiencing mostly negative emotions at work may suffer from burnout or workaholism. It was E. Diener’s research that became the basis for the separation of emotional (affective) well-being, as one of the important components of the professional well-being (P. Warr, 1987). It should be noted that affective well-being has been studied by many scientists in the context of studies of job satisfaction, depression and burnout (T. Taris, P. Schreurs & W. B. Schaufeli, 2000). This component is considered the most common among scientists. For example, P. Warr (1987, 1994) includes affective well-being into his occupational well-being model. A more detailed approach to affective well-being reveals studies, related to the structure of emotions and moods (J. A. Russell & J. H. Steiger, 1982; M. A. Zevon & A. Tellegen, 1982; D. Watson & A. Tellegen, 1985; K. Daniels, 2000). For example W. B. Schaufeli & A. B. Bakker (2003) proposed Work Engagement Scale as the opposites of the «burnout» construct . The authors found that burnout and engagement are opposed constructs, related to well-being in the professional sphere. Since C. Maslach and M. P. Leiter (1997) define «burnout» in terms of exhaustion, cynicism and reduced professional efficacy, engagement is characterized by: Vigor, Involvement or Dedication and Absorption. They also simplified the measurement and determined that the opposite scoring template for the three aspects of «burnout» by Inventory Maslach Burnout (MBI, S. Maslach, S. E. Jackson & M. P. Leiter, 1996) provides for engagement in work. Also in 2010 there was published A. Bakker’s conceptual article on subjective well-being in organizations. He explores the circumplex model of affect (J. Russell, 1980, 2003) as a theoretical basis for distinguishing the Subjective well-being components: happiness at work, job satisfaction, work engagement, workaholism and burnout. Job satisfaction is considered as an emotional component of subjective well-being. A consequence of work was the refinement of Russell’s circumplex model of subjective well-being . N. Poloski (2015) found out the relationship of «job satisfaction», «work engagement» and «employee loyalty». She emphasizes that most scientists point to the difference between the constructs of «job satisfaction» and «job involvement» (A. J. Wefald & R. G. Downey, 2009, G. M. Alarcon & J. B. Lyons, 2011, D. C. Barnes, J. E. Collier, 2013). However, their causation is poorly understood. In particular, some authors underline that high levels of «job satisfaction» are a positive result of «job involvement» (S. Biswas & J. Bhatnagar, 2013; G. Caesens, F. Stinglhamber and G. Luypaert, 2014; R. Hoigaard, R. Giske & K . Sundsli, 2012; O. M. Karatepe & G. Karadas, 2015; D. Moura, A. Orgambidez-Ramos, G. Goncalves, 2014). Thus, the «work engagement» can potentially be enhanced by satisfied employees (S. Abraham, 2012a, 2012b). The relationship between «work engagement» and «employee loyalty» is defined by researchers as positive (L. K. Field & J. H. Buitendach, 2011; M. Ibrahim & S. Al Falasi, 2014; W. B. Schaufeli & A. B. Bakker, 2004); the «work engagement» is conceptually and empirically different from «employee loyalty» (D. C. Barnes, J. E. Collier, 2013; U. E. Hallberg & W. B. Schaufeli, 2006); the «work engagement» fosters the «employee loyalty» (W. B. Schaufeli & A. B. Bakker, 2004; A. B. Bakker & E. Demerouti, 2008; J. A. Gruman, A. M. Saks, 2011; L. K. Field & J. H. Buitendach, 2011; Y. Brunetto et al., 2012; S. Biswas & J. Bhatnagar, 2013; D. Moura, A. Orgambídez-Ramos & G. Gonçalves, 2014; S. C. Agarwal, 2014b; R. W. Rice, 2015). According to the research results, N. Poloski came to the conclusion that the «job satisfaction» has a powerful influence on the «work engagement» and it is insignificant for the «employee loyalty». The «work engagement» as a factor is the mediator between the «job satisfaction» and the «employee loyalty» . The problems of differentiating the «job stress», «organizational stress» and «occupational stress» was studied by V. L. Pankovets. In 2004, against the problem of occupational stress, he proved the fundamental difference between these constructs, noting that job stress (stress at work) arises as a result of complications, related to the working environment (features of the workplace, working conditions, etc.). The reasons for «occupational stress» are the «job characteristics», the kind and type of professional activity. «Organizational stress» arises from the negative influence of the characteristics of the organization where the individual is working. These concepts are close, but not synonymous. Therefore, it is important to correctly perceive them in accordance with the tasks . Modern instruments of measuring «occupational well-being» tend to focus on one of three dimensions of affective well-being (positive and negative effects): satisfaction (satisfaction / dissatisfaction) stress (comfort / anxiety) mood (enthusiasm / depression). For example, «job satisfaction» and «work engagement» are associated with the first dimension of pleasure, while tension at work and emotional exhaustion are part of the burnout syndrome, associated with the second (stress) and third (mood) measurement respectively. Unlike «occupational health», «job satisfaction» and E. Diener’s «subjective well being in the workplace», in the 80s multidimensional approaches to the study of professional well-being began to appear, such as «quality of working life» and «occupational well-being». It is characteristic that «job satisfaction», «affective well-being» and some components of «occupational health» were included as elements into these models. But if the «quality of working life» pays attention to the influence of various characteristics of the working environment on «subjective well-being» (E. Diener) or ill-being (their separate components), practically all models of «occupational well-being» try to apply the model of S. Ryff’s «psychological well-being» to measure general well-being in the professional sphere. The «quality of working life» is represented by a whole group of models, taking into account the impact of various factors on the professional well-being such as: job satisfaction, pay satisfaction and relationships with colleagues and the factors, generally reflecting life satisfaction and overall feeling of well-being (K. Danna and R. W. Griffin, 1999) . For example, stress related to work and the relationship between working and non-working areas of life (K. A. Loscocco & A. N. Roschelle, 1991) were also identified as factors that should be included in the approach of the «quality of working life». The most famous models, related specifically to the quality of working life, are the following: Job Characteristics Model (J. R. Hackman, G. R. Oldham, 1974, 1980); The quality of working life (J. C. Taylor, 1979; P. H. Mirvis & E. E. Lawler, 1984); Job Demand-Control Model (JD-C) R. A. Karasek (R. A. Karasek, 1979; J. Johnson and E. Hall, 1988; R. A. Karasek and T. Theorell, 1990); Effort–Reward Imbalance (ERI) Model J. Siegrist (J. Siegrist, 1996); The Job Demands-Resources (JD-R) model A. B. Bakker (A. B. Bakker & E. Demerouti, 2007); etc, (V. V. Baba & M. Jamal, 1991; M. J. Sirgy, D. Efraty, P. Siegel & D. Lee, 2001; N. Ellis & A. Pompli, 2002). But only four of them were particularly successful in the area of empirical research: Job Characteristics Model; The Demand-Control-Support Model; The Job Demands-Resources model; The Effort-Reward Imbalance Model . Despite the differences between these approaches, all of the models suggest the presence of linear relation between the «job characteristics» and parameters of professional well-being. For example, «autonomy» at work linearly related to «job satisfaction»: the more autonomy the worker feels, the more «job satisfaction» he/she experiences. Also, researchers of the «quality of working life» approach, differ in their views on the structure of this phenomenon . For example, the above model by J. R. Hackman, G. R. Oldham (1974) suggests that the high «quality of working life», namely the positive attitude and high working results (high internal motivation, high job satisfaction, high quality of performance and low absenteeism) depend on the availability of three «critical psychological conditions»: a sense of work comprehension, a sense of responsibility for the work results, as well as knowledge of the results of the work. J. C. Taylor (1979) turned out to be more pragmatic in defining the main components of «quality of working life». As the main external factors, he determined: wages/salary, hours and working conditions, and as internal — the concept of job characteristics and features of the work it self. He suggested that, depending on the type of organization and group of employees, the quality of working life model can be supplemented by a whole range of other aspects, for example: individual power, employee participation in the management, fairness and equity, social support, use of one’s present skills, self-development, a meaningful future at work, social relevance of the work or product, effect on extra work activities, etc. P. H. Mirvis and E. E. Lawler (1984) suggested that the «quality of working life» is associated with satisfaction in pay, hours and working conditions. They described such «basic elements of good quality of working life»: safe work environment, equitable wages/salary, equal employment opportunities opportunities for advancement, opportunities to learn and grow, protection of individual rights. The Demand-Control-Support Model by R. A. Karasek measures the level of occupational stress as professional ill-being (occupational health). Model works with three main dimensions: job demands, job decision latitude and job social support. According to the model, professions, characterized by high demands, low freedom in decision making and low social support, have a higher risk of psychological distress and cardiovascular disease of employees . The continuation of this model was the Job Demand-Control Model (J. Johnson and E. Hall, 1988). This model could already predict and explain the work-related stress and motivation and be focused on two important aspects: job demands (workload, speed of implementation, deadlines, mental stress, workload coordination, the presence of conflicting requirements, etc.) and job control (freedom in making decisions, the ability to act on your own, to monitor the situation, to have support from colleagues, etc.) . The model defines a two-way linear relationship, namely that professions, characterized by high demands (for example, there are overloads) and a small amount of control (that is, autonomy), cause strong stress reactions or stress (for example, physical or mental exhaustion) and vice versa . Also within the framework of the model it is established that motivation, learning, and personal growth will be the highest in professions, characterized by high demands and high control. Although the JD-C model was very popular in the 80-90s, in the subsequent experiments a number of limitations were revealed. In general, epidemiological studies, aimed at long-term health effects, have found more support for this model than self-report studies, aimed at a wide variety of stress reactions (D. C. Ganster & J. M. Schaubroeck, 1991) . A linear relationship is also observed in J. Siegrist’s Effort-Reward Imbalance Model. J. Siegrist introduces the concept of a «work contract» and notes that efforts at work should be rewarded (money, respect and career opportunities, including job security). The model determines that there can not be reciprocity between employees and management, with high efforts made by employees and low rewards received in turn, it will most likely lead to negative emotions and sustained stress responses of the employees to the stress. Conversely, it leads to positive emotions, evoked by appropriate social rewards, promotes well-being, health and survival. The main components of the model are: Effort scale (physical load, time pressures, breaks, responsibility, over labor) and Reward scale (money, respect and security, career opportunities). An alternative to the previous models was The Job Demands-Resources model by A. B. Bakker. The model has a very wide range of working conditions in the analysis of organizations and employees. Although the model measures the level of occupational stress as «ill-being» (occupational health approach), it includes both negative and positive indicators of well-being. The main components of the model are: Job Demands (physical, psychological, social, organizational aspects of the work requiring effort — the amount of work, the speed of its implementation, deadlines, mental load, coordination load, the presence of conflicting requirements, etc. ); Job Resources (physical, psychological, social, organizational aspects of work that do not require effort — career opportunities, coaching leader, role clarity, autonomy). V. V. Baba i M. Jamal (1991) listed «typical indicators» of the «quality of working life», including: job satisfaction, job involvement, work role ambiguity, work role conflict, work role overload, job stress, organizational commitment and turn-over intentions. They also examined the routinization of labor content, suggesting that this aspect should be investigated within the framework of the «quality of working life» concept. Sirgy and others (2001)  suggested that the key factors in the «quality of working life» are: satisfaction need, based on job requirements, satisfaction need, based on work environment, satisfaction need, based on supervisory behaviour, satisfaction need, based on ancillary programmes, organizational commitment. Some researchers argue that the component composition of the working life quality can vary depending on the profession. So, for example, S. Bearfield (2003) used 16 questions to study the working life quality and the differences between the reasons for the dissatisfaction of various professionals: clerks, salesmen and service workers, indicating that various problems may have to be addressed separately for different groups. One of the modern tools for measuring the working life quality is a relatively new method of Work-Related Quality of Life scale (WRQoL) . The structure of WRQoWL  model includes six main Components: Job and Career Satisfaction — the emotional attitude of the employee to work; Working Conditions — assessment of satisfaction with basic resources, working and safety conditions; General Well-Being — assessing well-being outside the work environment. It is assumed that general well-being affects professional well-being, for example depression and anxiety disorders are common and can have a significant impact on professional well-being; Home-Work Interface — measures the extent to which the employer is perceived as something that supports families and family life of employees; Stress at Work — assessing the level of stress at work; Control at Work is an assessment of the degree of freedom of speech and the ability to be involved in decision-making at work . According to the followers of the approach of «quality of working life», job satisfaction or dissatisfaction essentially lies in its perception, rather than simply reflects the objective reality. In addition, the perception of a person can depend on the comparison of acquired ideals, aspirations and expectations, for example, with the current state of the individual (E. E. Lawler and L. W. Porter, 1966). On this issue there was published the monograph by E. Y. Rohov and the authors (2014), entitled The Modern Paradigm of Research of Professional Representations , studying the professional representations of the subject of activity, the role of professional representations in the regulation of activity and the peculiarities of the formation of professional notions about the object of activity. In an empirical study, correlation relationships were found between the indicators of professional ethics and emotional burnout. It is revealed that professional representations can contain both emotional, cognitive and behavioral components of professional interaction. Also they can influence the various components of subjective well-being or ill-being: performance, involvement, competence, job satisfaction. Also, it was confirmed that the professional representations of students are related to the level of their self-esteem. Regarding the approach of «occupational well-being», its researchers were focusing on its application in a professional context of the modernized versions of the model of psychological well- being by C. Ryff, whose multi-factor structure has 6 components: Self-Acceptance, Personal Growth, Purpose in Life, Positive Relations, Environmental Mastery and Autonomy . Among the most famous models of «occupational well-being» we can distinguish those suggested by P. Uorr (1987, 1994); J. E. Van Horn, T. W. Taris, W. B. Schaufeli, B. Wilmar, P. J. G. Schreurs, J. G. Paul (2003) M. L. Schultz (2008); K. Rut (2016). One of the most well-known approaches to the study of well-being in the context of professional activity is the model of occupational well-being by P. Warr (1987, 1990, 1990b, 1994), developed by analogy with the psychological well-being model by C. Ryff (1986), considering well-being in the context of professional activities, as conditioned by its conditions and content. The components of P. Warr’s model of occupational well-being are: affective well-being, subjective competence, autonomy and subjective aspiration, and the fifth component is «integrated functioning», reflecting the person as a whole. Integrated functioning can be defined as a general assessment, covering the first four components. Particular attention is paid by P. Warr to such a component as affective well-being. Peter Warr was the first to adapt the job-related affective well-being model. By analogy with J. Russell’s two- dimensional emotional experience circular model (1980, 2003), P. Warr’s model of professional emotional well-being includes 3 affective partners: pleasure / dissatisfaction, comfort / job-related anxiety and enthusiasm / emotional exhaustion. As for other components of P. Warr’s models, «subjective competence» encompasses a person’s ability to cope with problems and influence the environment with a highly ambitious success. «Autonomy» refers to the extent to which people can withstand environmental demands and follow their own thoughts and actions. P. Warr (1987) notes that too much, and too little autonomy can led to negative consequences. «Subjective aspiration» refers to people, showing interest in others, participating in motivated activities and also striving to improve themselves. This aspect of psychological well-being in the professional sphere was emphasized by various researchers, such as: F. Herzherg (1966), investigating the influence of features of «psychological growth» on the work of employees, A. Maslow (1973), developing a similar perspective from the standpoint of «self — actualizarion», as well as M. Csikszentmihaiyi (1975) and A. Kornhauser (1965). Low aspiration is manifested in apathy and in confirming the status quo, regardless of satisfaction. А wish to work related refers to the extent to which a person seeks difficult goals in his/her work. Separately, we will determine the contribution of P. Warr to studies of the influence of the context of professional activity on the affective well-being. His «vitamin theory» which can be attributed to the direction of «quality of working life», defines 9 (12) key job characteristics, but, unlike the «quality of working life» models, postulates a nonlinear relationship between the job characteristics and the level of the affective well-being . The latest attempt to test Warr’s vitamin model was made by the German scientist S. Meyerding. 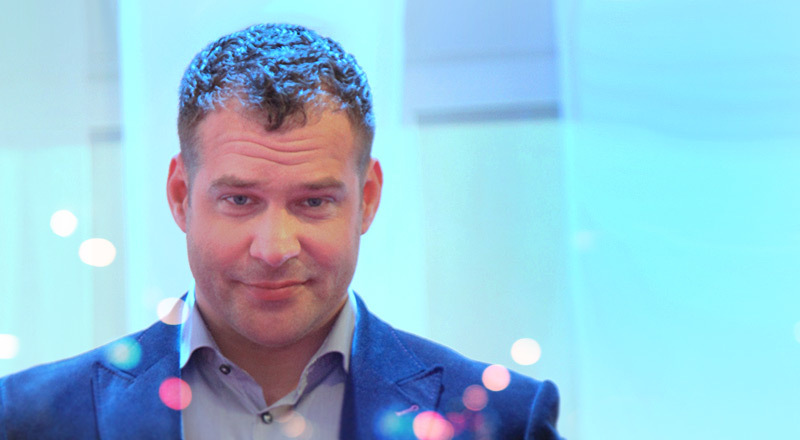 In 2015, he reproduced the studies and identified 28 factors, affecting job satisfaction . S. Meyerding claims that his predecessors tested outdated models by P. Warr, for example De Jonge (1998) tested Warr’s vitamin model using an outdated version with nine vitamins (P. Warr, 1994), the current model includes 12 vitamins ( P. Warr, 2007, 2013) [28; 38]. But S. Meyerding tried to imbed out the measurements and investigated the 28 factors model. According to him, there are different approaches to measuring subjective well-being at work. But if job satisfaction is measured in different aspects, the outcome of the evaluation will depend on what aspects will be included in the model (organizational, personal, etc.). According to S. Meyerding, most aspects of the job characteristics are reliably correlated with job satisfaction. The correlation with job satisfaction was the highest significant one with the «good prospects for the future» factor, indicating the importance of informing and communicating with the employees about future plans. A sense of progress on the way to a better future influences job satisfaction. There was also a positive relationship between the organization’s morality and job satisfaction, affecting the employee’s sustainability index. When studying the occupational well-being, the work by P. Cotton (2003) on the relations of occupational well-being and labor performance is very important . P. Cotton notes that occupational well-being depends on the key organizational and personal factors, affecting occupational well-being. A high level of occupational well-being positively affects labor performance. According to P. Cotton, the negative and positive aspects of occupational well-being (morale and stress level) are independent, and personal factors have a greater impact on stress level than organizational ones. The organizational climate is the strongest factor, determining positive emotions (morale) . The model, suggested by J. E. Van Horn  is outstanding in the occupational well-being. Based on the models by P. Warr (1987, 1994) and C. Ryff (1989), J. E. Van Horn developed a multidimensional model of occupational well-being, including affective, cognitive, professional, social and psychosomatic components: C. Ryff — self-acceptance; P. Warr — Affective well-being (anxiety, depression); Professional well-being (motivation) (C. Ryff — Personal growth, Purpose in life, Autonomy; P. Warr – Aspiration, Competence, Autonomy); Social well-being (behavior) (C. Ryff — Environmental mastery, Positive relations with others); Cognitive well-being and Psychosomatic well-being (D. E. Broadbent, P. F. Cooper, P. FitzGerald & K. R. Parkes, 1982; T. W. Taris, P. J. G.Schreurs & I. J. Van Iersel-Silfhout, 2001) . J. E. Van Horn’s model was developed with the model by A. Baldschun (2014), proposing a 6-component model of occupational well-being: affective, social, cognitive, professional, personal and psychosomatic well-being . Separately, it is necessary to define the works by M. L. Schultz (2008) and K. Rut (2016) [9; 33], developing their own «occupational» and «professional» well-being models on the basis of C. Ryff’s Psychological Well-Being Scales (PWB). The model by M. L. Schult differentiates the concepts of «organizational climate», «job satisfaction» and «occupational well-being», also distinguishing 6 components of the «occupational well-being»: positive organizational relationships, professional self- acceptance, job autonomy, job purpose, environmental mastery and job growth. M. L. Schultz separates his approach from those, initiated by his predecessors and proposes the revised C. Ryff’s Psychological Well-Being Scales (PWB, 1986), having been previously ignored in the study of occupational well-being, but the most theoretically processed and based on various theories of the optimal well-being of a person. Kateryna Rut (2016) developed and tested a model of professional well-being, relying on the research by C. Ryff. She offered a questionnaire for assessing the professional well-being and defined its 4-component structure: «Professional Development» (sub-scales: «Professional Goals» and «Professional Growth»); «Positive relations with colleagues»; «Professional self-acceptance» (sub-scales: «Satisfaction with the level of competence» and «Satisfaction with professional achievements»); «Autonomy in professional activity» . The work by Yu. P. Povarenkov, who in 2006 reviewed the main approaches to the problem of identity and introduced the concept of «professional identity»  also deserves attention as it treats professional identity as a state of the individual, one of the criteria for his/her professionalization, the process of professional development regulator. Professional identity is a special type of social identity, exhausted by the adoption of appropriate professional roles and functions. It can not be reduced to self-identity, because treating oneself as a professional is only one of the indicators of a formed professional identity. Yu. P. Povarenkov (2014) identifies three basic parameters for assessing professional identity: the acceptance of the professional community values, acceptance of oneself as a professional and the adoption of professional activity as a means of self-realization . This construct has generalized the entire diversity of individual, personal and professional factors, combined with satisfactory performance characteristics (organizational and contextual factors), contributing to professional well-being. Conclusions. The article investigates four basic and several intermediate concepts of the «professional well-being»: occupational health, job satisfaction, affective well-being, quality of working life, occupational well-being. The analysis of modern and classical research gives grounds to apply the concept of «professional well-being» to denote the general state of the positive functioning of the individual (psychological well-being) in the professional sphere, as it accurately reflects the essence of this phenomenon, in contrast to the construct of «occupational well-being», which is common to any professions and does not reflect the professional specifics of the perception of the world. Due to the fact that various aspects of the professional well-being are measured with the help of both subjective (self-assessment) and objective methods (objective psychodiagnostic measurements), we suggest using these notations only to distinguish the methods of evaluation used. Despite the diversity of approaches to professional well-being, almost all of them were formed under the influence of the concepts of «subjective» and «psychological» well-being (N. Bradburn, E. Diener, C. Ryff) and they try to define common universal criteria and composition of components of «professional well-being». The difference between constructs of general psychological well-being and professional well- being is obvious. If the first one has universal criteria (the state of optimal functioning) and needs to find a universal structure, recent studies indicate significant differences in the structure of the professional well-being characteristic of various professional groups and the factors, influencing it. Modern attempts to directly combine the models of derivatives by C. Ryff and E. Diener can not solve the issue of the difference between professional expectations, the hierarchy of values and other psychological characteristics typical for representatives of various professional groups, leading to the need for each profession to develop a separate model of professional well-being or to essentially change the existing ones, as well as to determine the influence of various factors on it. To date, there are no universal dynamic tools for assessing the level of professional well- being, taking into account the factors characteristic of different professional groups, which could make it possible to accurately track and correct working conditions to specific professional expectations. Prospects for further research. The prospect of further research lies in the direction of investigating the content and structure of the professional well-being, characteristic of various professional groups, and the impact on it of various factors, as well as in developing own empirical model for the realization of the research objective. 1. Аргайл М. Психология счастья / M. Аргайл. – СПб. : Питер, 2003. – 271 с. 3. Иванова Т. Ю. Структура и диагностика удовлетворенности трудом : разработка и апробация методики / Т. Ю. Иванова, Е. И. Рассказова, Е. Н. Осин // Организационная психология. — 2012. — Т. 2. — No 3. — С. 2–15. 4. Паньковець В. Л. Психологічний аналіз професійного стресу в освітніх організаціях / В. Л. Паньковець // Синдром «професійного вигорання» та професійна кар’єра працівників освітніх організацій : гендерні аспекти : [навч. посіб. для вищ. навч. закл.] / за наук. ред. С. Д. Максименка, Л. М. Карамушки, Т. В. Зайчикової. – К. : Міленіум, 2004. – С. 18–39. 5. Патрушев В. Д. Задоволеність працею : соціально-економічні аспекти / В. Д. Патрушев, Н. А. Калмакан. — М. : «Економіка», 1993. – 203 c.
6. Поваренков Ю. П. Психологическая характеристика профессиональной идентичности субъекта труда / Ю. П. Поваренков // Вестник КГУ им. Н.А. Некрасова. – Т. 20. — 2014. — С. 9-16. 7. Погoрская В. А. Взаимосвязь субъективного благополучия и ценностно-смысловой сферы личности у студентов педагогических профессий / В. А. Погорская // Вектор науки ТГУ. Серия : Педагогика, психология. — 2011. — No 3 (6). – C. 252. 8. Рогов Е. И. Современная парадигма исследования профессиональных представлений [Текст] : [монография] / Е. И. Рогов, И. Г. Антипова, С. В. Жолудева [и др.] ; науч. ред. Е. И. Рогов // Южный федерал. ун-т, Каф. орг. и приклад. психологии. — Ростов-на-Дону : Фонд науки и образования, 2014. — 250 с. 9. Рут Е. И. Профессиональное благополучия сотрудников коммерческих организаций: критерии и методика оценки : автореф. дис. магистр. психол. наук. : по напр. 030300 «Организационная психология и психология менеджмента» / Е. И. Рут. — Санкт-Петербург, 2016. – 172 c.
10. Шамионов Р. М. Субъективное благополучие личности: этнопсихологический аспект / Р. М. Шамионов // Проблемы социальной психологии личности. – Саратов : Саратовский Государственный Университет им. Н. Г. Чернышевского, 2008. – С. 45–52. 11. 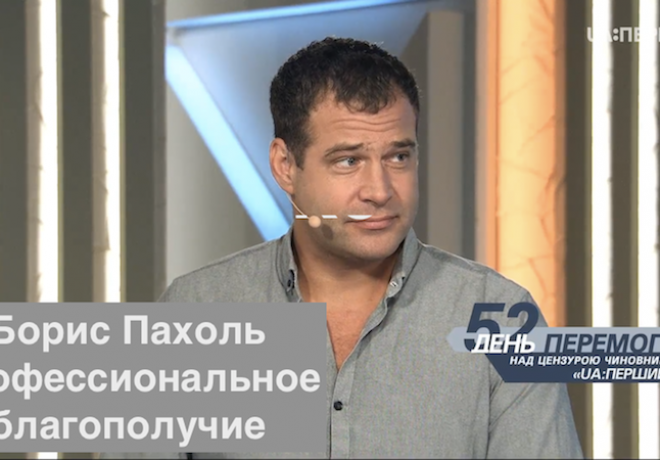 Ядов В. А. Удовлетворенность работой: анализ эмпирических обобщений и попытка их теоретического истолкования / В. А. Ядов, А. А. Киссель // Социологические исследования. — 1974. — No 1. — С. 78–87. 12. Bakker A. B. Subjective well-being in organizations / A. B. Bakker, W. G. M. Oerlemans [In: K. Cameron, G. Spreitzer (Eds.)] // Handbook of Positive Organizational Scholarship. – Oxford : Oxford University Press, 2011. — P. 178–189. 13. Baldschun A. The Six Dimensions of Child Welfare Employees’ Occupational Well- Being / A. Baldschun // Nordic journal of working life studies. — 2014. — No 4 (4). — P. 69- 87. 14. Cotton P. Occupational well-being and performance. A review of organizational health research / P. Cotton, P. M. Hart // Australian Psychologist. – 2003. – No 38 (2). – P. 118-127. 15. Danna K. Health and well-being in the workplace : A review and synthesis of the literature / K. Danna, R. W. Griffin // Journal of Management. – 1999. — No 25. – P. 357-384. 16. Diener E. Subjective well-being : The science of happiness and life satisfaction / E. Diener, R. Lucas, S. Oishi, [In C. R. Snyder & S. J. Lopez (Eds.)] // The handbook of positive psychology. – New York : Oxford University Press, 2002. — P. 63-73. 18. Hackman J. R. Motivation through design of work. Organizational behaviour and human performance / J. R. Hackman, G. R. Oldham. – 1976. — No 16 (2). – P. 250–279. 19. Herzberg F. The Motivation to Work. New York : Wiley / F. Herzberg, B. Mausner, B. B. Snyderman // [2nd ed.]. — New York : John Wiley & Sons, 1959. – 157 p.
20. Higgins E. T. When do self-discrepancies have specific relations to emotions? The second-generation question of Tangney, Niedenthal, Covert, and Barlow (1998) / E. T. Higgins // Journal of Personality and Social Psychology. -1999b. — No 77 (6). – P. 1313-1317. 21. Janssen P. P. M. A Test and Refinement of the Demand–Control–Support Model in the Construction Industry / P. P. M. Janssen, A. B. Bakker, A. de Jong // International Journal of Stress Management. — Vol. 8. – 2001. — No 4. – P. 315-332. 22. Jonge J. D. Job Characteristics and Employee Well-Being : A Test of Warr’s Vitamin Model in Health Care Workers Using Structural Equation Modelling / Jan De Jonge, W. B. Schaufeli // Journal of Organizational Behavior. — 1998. — No 19 (4). — P. 387-407. 23. Judge T. A. Job Satisfaction and Subjective Well-Being at work / J T. A. Judge, R. Klinger // The science of subjective well-being. – New York : Guilford, 2008. – P. 393-413. 24. Judge T. A. The dispositional causes of job satisfaction : A core evaluations approach / T. A. Judge, E. A. Locke, C. C. Durham // Research in Organizational Behavior. – 1997. — No 19. – P. 151–188. 25. Latham G. P. The study of work motivation in the 20th century / G. P. Latham, M. H. Budwort, [In L. L. Koppes (Ed.)] // Historical perspectives in industrial and organizational psychology. — Mahwah, NJ : Lawrence Erlbaum, 2007. – P. 353-381. 26. Locke E. A. The nature and causes of job satisfaction / E. A. Locke, [In M.D. Dunnette (Ed.)] // Handbook of industrial and organizational psychology. – Chicago : Rand McNally, 1976. – P. 1297-1349. 27. Mayo E. Hawthorne and the Western Electric Company. The Social Problems of an Industrial Civilization. / E. Mayo. – London : Routledge, 1949. – P. 161-170. 28. Meyerding S. Job characteristics and job satisfaction : A test of Warr’s vitamin model in German horticulture / S. Meyerding // The Psychologist-Manager Journal. – 2015. — Vol. 18 (2). – P. 86-107. 29. Moynihan L. M. The Influence of Job Satisfaction and Organizational Commitment on Executive Withdrawal and Performance / L. M. Moynihan, W. R. Boswell, J. W. Boudreau // Center for Advanced Human Resource Studies. — Cornell University, 2000. — P. 80. 30. Poloski V. N. The triad of job satisfaction, work engagement and employee loyalty – The interplay among the concepts / V. N. Poloski, T. Hernaus // EFZG Working Papers Series 1507, Faculty of Economics and Business. — University of Zagreb, 2015. – 13 p.
31. Ryff C. D. Psychological well-being: Meaning, measurement, and implications for psychotherapy research / C. D. Ryff, B. Singer // Psychotherapy and Psychosomatics. — 1996. — No 65. – P. 14–23. 32. Schaufeli W. B. Utrecht Work Engagement Scale : Preliminary Manual / W. B. Schaufeli, A. B. Bakker // Department of Psychology. — The Netherlands : Utrecht University, 2003. – 58 p.
33. Schultz M. L. Occupational well-being : the development of a theory and a measure / M. L. Schultz // Front Cover. ProQuest. – 2008. – 183 p.
34. Sirgy M. J. A new measure of quality of work life (QoWL) based on need satisfaction and spillover theories / M. J. Sirgy, D. Efraty, P. Siegel, D. Lee // Social Indicators Research. – 2001. — No 55. – P. 241-302. 35. Staw B. M. The dispositional approach to job satisfaction : More than a mirage, but not yet an oasis : comment / B. M. Staw, Y. Cohen-Charash // Journal of Organizational Behavior. – 2005. — No 26 (1). — P. 59–78. 36. Van Horn. The structure of occupational well-being: a study among Dutch teachers / V. Horn, J. E. Taris, T. W. Schaufeli, W. B. Schreurs, J. G. Paul // Published in Journal of Occupational and Organizational Psychology. – 2004. — Vol. 77. – 365 p.
37. Van Laar D. Work-Related Quality of Life scale for healthcare workers / D. Van Laar, J. Edwards, S. Easton // Journal of Advanced Nursing. – 2007. — Vol 60. — No 3. – P. 325–333. 38. Warr P. How to Think About and Measure Psychological Well-being / P. Warr, [In: M. Wang, R. R. Sinclair, L. E. Tetrick (Eds.)] // Research Methods in Occupational Health Psychology : Measurement, Design and Data Analysis. — New York : Psychology Press / Routledge, 2013. — P. 76-90. 1. Argyle, M. (2003). Psikhologiya schast’ya [The Psychology of Happiness]. SPb : Piter., 271 (rus). 2. Berezovskaia, R. A. (2016) Professionalnoe blagopoluchie : problemy i perspektivy psikhologicheskikh issledovanii [Professional well-being: problems and perspectives of psychological research]. Psikhologicheskie issledovaniia : (elektron. nauch. zhurn.) [Psychological research: (electronic. Sci. Journal)], 9 (45), 2, URL: http://psystudy.ru/index.php/num/2016v9n45/1232-berezovskaya45.html (rus). 3. Ivanova, T. Iu., Rasskazova, E. I., Osin, E. N. (2012) Struktura i diagnostika udovletvorennosti trudom : razrabotka i aprobatsiia metodiki [Structure and Diagnosis of Job Satisfaction: Development and Approbation of the Methodology]. Organizatsionnaia psikhologiia [Organizational Psychology], 2(3), 2–15 (rus). 4. Pankovets, V. L. (2004) Psikhologіchnii analіz profesіinogo stresu v osvіtnіkh organіzatsіiakh [Psychological analysis of occupational stress in educational institutions]. Sindrom «profesіinogo vigorannia» ta profesіina kar’єra pratsіvnikіv osvіtnіkh organіzatsіi : gendernі aspekti : navch. posіb. dlia vishch. navch. zakl. (nauk. red. S. D. Maksimenka, L. M. Karamushki, T. V. Zaichikovoї) [syndrome of «burnout» and career employees of educational institutions: a gender perspective teach. guidances. for HI. teach. bookmark (by science. Edit. S. D. Maksimenko, L. Karamushka, T. V. Zaichikovoї)], K : Millennium, 18-39 (rus). 5. Patrushev, V. D., Kalmakan, N. A. (1993) Zadovolenіst pratseiu : sotsіalno-ekonomіchnі aspekti [Job satisfaction, social and economic aspects]. M. : «Ekonomіka», 203 (rus). 6. Povarenkov, Iu. P. (2014) Psikhologicheskaia kharakteristika professionalnoi identichnosti subieekta truda [Psychological characteristics of the professional identity of the subject of labor]. Vestnik KGU im. N.A. Nekrasova [Vestnik KSU im. ON. Nekrasov], 20, 9-16 (rus). 7. Pogorskaia, V. A. (2011) Vzaimosviaz subieektivnogo blagopoluchiia i tsennostno- smyslovoi sfery lichnosti u studentov pedagogicheskikh professii [The relationship of subjective well-being and the value-semantic sphere of the personality in students of pedagogical professions]. Vektor nauki TGU. Seriia : Pedagogika, psikhologiia [Vector of Science TSU. Series: Pedagogy, psychology], 3 (6), 252 (rus). 8. Rogov, E. I., Antipova, I. G., Zholudeva, S. V. [and others] (2014) Sovremennaia paradigma issledovaniia professionalnykh predstavlenii : monografiia [The modern paradigm of research of professional representations : monograph]. Iuzhnyi federal. un-t, Kaf. org. i priklad. Psikhologii [Southern Federal. University, Kaf. Org. And modern Psychology], Rostov-on-Don : Fund of Science and Education, 250 (rus). 9. Rut, E. I. (2016) Professionalnoe blagopoluchiia sotrudnikov kommercheskikh organizatsii: kriterii i metodika otsenki : avtoref. dis. magistr. psikhol. nauk. : po napr. 030300 «Organizatsionnaia psikhologiia i psikhologiia menedzhmenta» [Professional well-being of employees of commercial organizations: criteria and methodology for evaluation: Abstract of thesis. Dis. master. Psychol. Sciences. : by direct. 030300 Organizational psychology and psychology of management]. St. Petersburg, 172 (rus). 10. Shamionov, R. M. (2008) Subieektivnoe blagopoluchie lichnosti: etnopsikhologicheskii aspekt [Subjective well-being of the person: ethnopsychological aspect]. 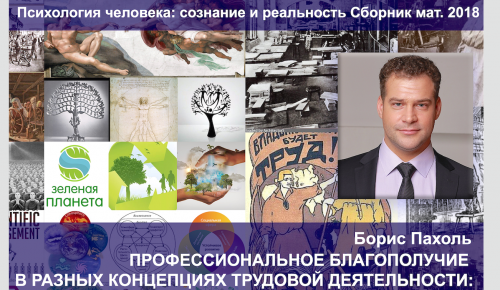 Problemy sotsialnoi psikhologii lichnosti [Problems of social psychology of personality], Saratov: Saratov State University. N. G. Chernyshevsky, 45-52 (rus). 11. Iadov, V. A., Kissel, A. A. (1974) Udovletvorennost rabotoi: analiz empiricheskikh obobshchenii i popytka ikh teoreticheskogo istolkovaniia [Satisfaction with work: analysis of empirical generalizations and an attempt at their theoretical interpretation]. Sotsiologicheskie issledovaniia [Sociological research], 1, 78–87 (rus). 12. Bakker, A. B., Oerlemans, W. G. M. (2011) Subjective well-being in organizations. In: K. Cameron, G. Spreitzer (Eds.). Handbook of Positive Organizational Scholarship. Oxford: Oxford University Press, 178–189. 13. Baldschun, А. (2014) The Six Dimensions of Child Welfare Employees’ Occupational Well-Being. Nordic journal of working life studies, 4 (4), 69-87. 14. Cotton, P., Hart, P. M. (2003) Occupational well-being and performance. A review of organizational health research. Australian Psychologist, 38 (2), 118-127. 15. Danna, K., Griffin, R. W. (1999) Health and well-being in the workplace : A review and synthesis of the literature. Journal of Management, 25, 357-384. 16. Diener, E., Lucas, R., Oishi, S. (2002) Subjective well-being : The science of happiness and life satisfaction. In C. R. Snyder & S. J. Lopez (Eds.). The handbook of positive psychology. New York : Oxford University Press, 63-73. 18. Hackman, J. R., Oldham, G. R. (1976) Motivation through design of work. Organizational behaviour and human performance, 16 (2), 250–279. 19. Herzberg, F., Mausner, B., Snyderman, B. (1959) The Motivation to Work. New York:Wiley, 157. 20. Higgins, E. T. (1999b). When do self-discrepancies have specific relations to emotions? The second-generation question of Tangney, Niedenthal, Covert, and Barlow (1998). Journal of Personality and Social Psychology, 77 (6), 1313-1317. 21. Janssen, P. P. M., Bakker, A. B., Jong A. (2001) A Test and Refinement of the Demand– Control–Support Model in the Construction Industry. International Journal of Stress Management, 8 (4), 315-332. 22. Jonge, J. D., Schaufeli, W. B. (1998) Job Characteristics and Employee Well-Being : A Test of Warr’s Vitamin Model in Health Care Workers Using Structural Equation Modelling. Journal of Organizational Behavior, 19 (4), 387-407. 23. Judge, T. A., Klinger, R. (2008) Job Satisfaction and Subjective Well-Being. The science of subjective well-being. New York : Guilford, 393-413. 24. Judge, T. A., Locke, E. A., Durham, C. C. (1997) The dispositional causes of job satisfaction : A core evaluations approach. Research in Organizational Behavior, 19, 151–188. 25. Latham, G. P. (2005) Work motivation theory and research at the dawn of the twenty-first century. Annual Review of Psychology, 56, 485-516. 26. Locke, E. A. (1976) The nature and causes of job satisfaction. In M.D. Dunnette (Ed. ), Handbook of industrial and organizational psychology. Chicago : Rand McNally, 1297-1349. 27. Mayo, E. (1949) Hawthorne and the Western Electric Company, The Social Problems of an Industrial Civilisation, Routledge, 161-170. 28. Meyerding, S. (2015) Job characteristics and job satisfaction : A test of Warr’s vitamin model in German horticulture, The Psychologist-Manager Journal, 18 (2), 86-107. 29. Moynihan, L. M., Boswell, W. R., Boudreau, J. W. (2000) The Influence of Job Satisfaction and Organizational Commitment on Executive Withdrawal and Performance. Center for Advanced Human Resource Studies. Cornell University, 80. 30. Poloski, V. N., Hernaus, T. (2015) The triad of job satisfaction, work engagement and employee loyalty – The interplay among the concepts. EFZG Working Papers Series 1507, Faculty of Economics and Business, University of Zagreb, 13. 31. Ryff, C. D. (1996) Psychological well-being: Meaning, measurement, and implications for psychotherapy research. Psychotherapy and Psychosomatics, 65, 14–23. 32. Schaufeli, W. B., Bakker, A. B. 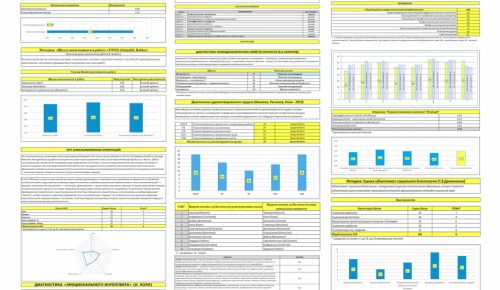 (2003) Utrecht Work Engagement Scale : Preliminary Manual. Department of Psychology, Utrecht University, The Netherlands (available from www.schaufeli.com), 58. 34. Sirgy, M. J., Efraty, D., Siegel, P., Lee, D. (2001) A new measure of quality of work life (QoWL) based on need satisfaction and spillover theories. Social Indicators Research, 55, 241-302. 35. Staw, B. M., Cohen-Charash, Y. (2005) The dispositional approach to job satisfaction : More than a mirage, but not yet an oasis: Comment. Journal of Organizational Behavior, 26 (1), 59– 78. 36. Van Horn, Taris, J. E., Schaufeli, T.W., Schreurs, W. B., Paul, J. G. (2004) The structure of occupational well-being : a study among Dutch teachers. Published in Journal of Occupational and Organizational Psychology, 77 (3), 365. 37. Van Laar, D., Edwards, J., Easton, S. (2007) The Work-Related Quality of Life scale for healthcare workers. Journal of Advanced Nursing, 60 (3), 325–333. 38. Warr, P. (2013) How to Think About and Measure Psychological Well-being. In: M. Wang, R. R. Sinclair, L. E. Tetrick (Eds.). Research Methods in Occupational Health Psychology : Measurement, Design and Data Analysis. New York : Psychology Press/Routledge, 76-90. 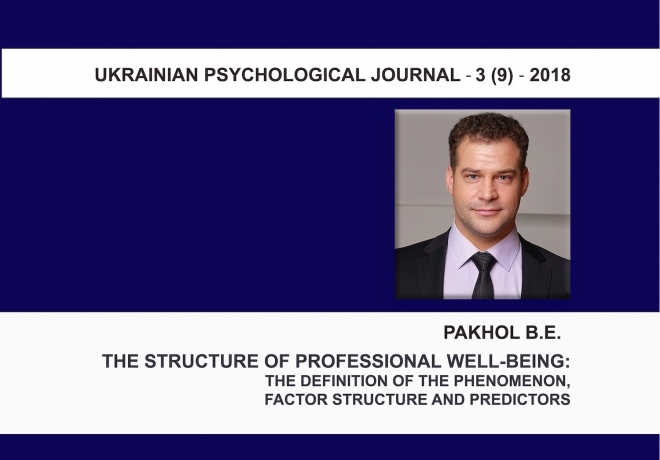 This article introduces theoretical and methodological analysis of research of the «professional well-being» phenomenon. The author reviews and defines the differences between the main approaches to professional well-being, such as: occupational health, job satisfaction, affective well-being, quality of working life, occupational well-being. There has been marked a difference between the content of the basic constructs, used in the context of each approach. There has been indicated expediency of using the «job satisfaction» construct as a designation of subjective cognitive self-assessment of the coincidence of professional representations and existing working conditions. The study proposes to use the «professional well-being» construct to reflect the essence of this phenomenon more precisely in contrast to the «occupational well-being» construct, which is common to any professions and does not reflect the professional specifics of the perception of the world. Differences in the occupational image of the world and various professions representatives significantly influence the content and structure of their motives, professionally significant personality traits and requirements for working conditions. And it also makes it impossible to define the uniform criteria for professional well-being for all professional groups. In connection with the above mentioned, the prospect of further research is defined in the direction of applying more individual approaches to study the content and structure of professional well-being of various professional groups and developing own empirical model. Более: 10 лет управленческого и бизнес опыта, 20 лет преподавательского опыта, 9000 часов тренингов и лекций. Основатель и активный участник ряда всеукраинских и международных общественных организаций. 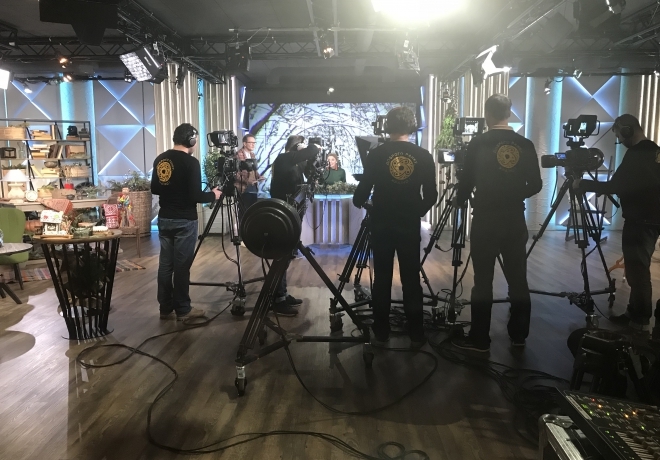 Борис Пахоль | ПРОФЕСІЙНЕ БЛАГОПОЛУЧЧЯ В РІЗНИХ КОНЦЕПЦІЯХ ПРОФЕСІЙНОЇ ДІЯЛЬНОСТІ: ПІДХОДИ ДО ВИВЧЕННЯ ФЕНОМЕНА. Помоги ученым! Пройди тестирование! 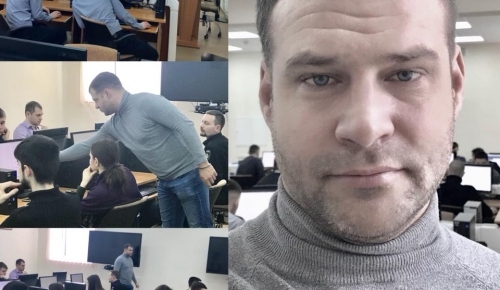 И узнай что влияет на твое Счастье на работе!